The first time I met Bobbi Brown, I was an intern backstage at Fashion Week for the first time. If you've never been behind the scenes hours before a runway show, let me set the stage for you: It's always hectic, hot, and crowded. Not so with Brown's backstage, though, where the models wore flushed, pinky cheeks, and there wasn't a contour in sight. It's that same timeless elegance that Brown has maintained throughout her career—makeup that makes you look good and feel confident. It's also that mantra that has led to her ninth (yes, ninth) book. 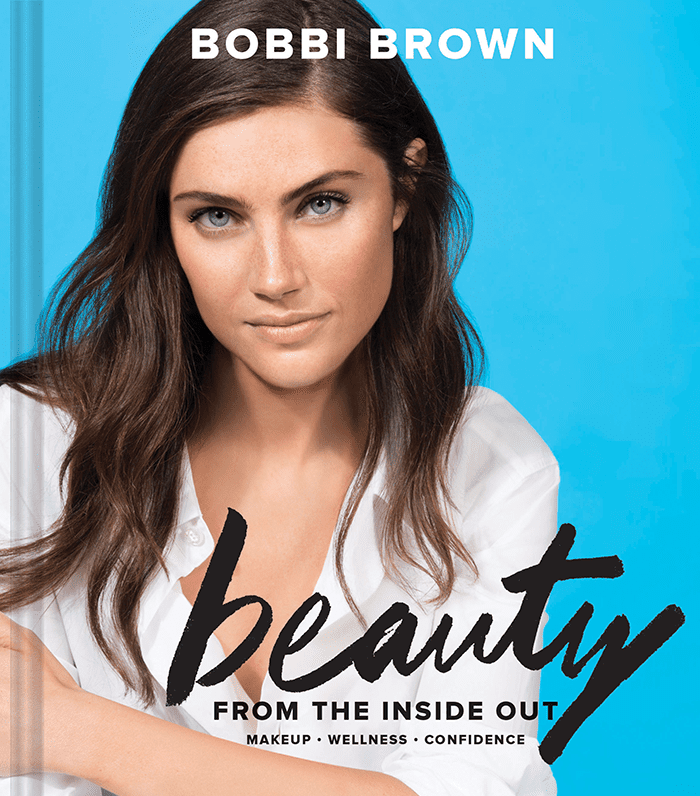 Beauty From the Inside Out ($16) is a guide to finding the best nutrients for your skin and body (with a healthy dose of beauty food recipes and fitness tips included), and it also dives into how you can apply mindfulness to your everyday life. But, just like Brown's makeup, the backbone of her advice in the book is the fact that it's time-honored and easy to maintain. Over a meal of roasted vegetables and quinoa, I asked Brown to lay out a few of her best health and wellness tips from the book (and her life). Naturally, she obliged. Keep reading for an easier—and arguably more effective—way to incorporate healthier habits into your daily life. 1. When you have a cocktail, stay away from bread and sugary desserts. Instead, lean toward healthy fats and fiber, like nuts and half an apple, if you're hungry after dinner. 2. Add one scoop of protein powder to water in a 24-ounce plastic cup, and drink it instead of breakfast or after a meal. It's an easy, great way to keep you fuller, longer. 3. Since calories count, budget them for what you really love. Instead of a high-calorie smoothie in the morning, start your day off with an egg-and-vegetable scramble wth a side of berries or a piece of toast. 4. Fiber fills you up. Try gluten-free crackers and goat cheese, or any high-fiber snack paired with a protein before dinner, to ensure you don't arrive at the restaurant starving and overeat. 5. Order a side of vegetables as an appetizer when you're dining out. It is a lot healthier than most of the calorie-rich options offered, and it'll fill you up just as well. 6. Mexican hot cocoa is a snack that feels like an indulgence—but isn't. Mix chocolate protein powder, almond or coconut milk, raw cacao nibs, cinnamon, and a pinch of red pepper. Blend all of the ingredients, and then heat it up. 7. Intuitive eating is the only modality I believe in. Eat food that is real and grows in the ground, as it will make you feel good and energized. Do you have a favorite wellness tip? Let us know in the comments below.